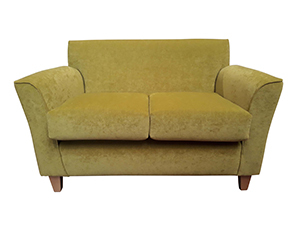 Based in Tipton in the Heart of The Black Country and established in 2004, we are a British manufacturer of Sofas and Chairs. All our products are handmade here in The Black Country by a team of dedicated frame builders, sewers and upholsterers. We manufacture a wide variety of models ranging from traditional to contemporary, as well as a range of fireside chairs and footstools. We offer a wide range of quality fabrics from leading UK fabric suppliers - any fabric can be selected for any model. 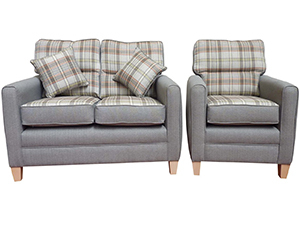 All sofas are available in both 2 and 3 seats with any combination available. Any model can be made to any size, we can alter seat heights, depths or overall lengths to suit your customers’ requirements. 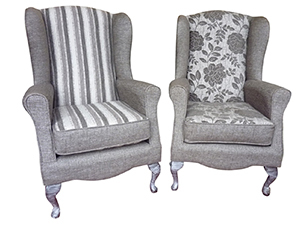 We also supply armthrows, scatter cushions, head-rests, footstools and sofa beds to meet your customers’ requirements. All our models are supplied with medium density foam and fibre cushion. Softer or firmer cushions can be supplied at a small supplement. We have a showroom on site where we display our complete product range. All our products meet the Furniture and Furnishings (Fire) (Safety) Regulations 1988. Cribb 5/Source 5 fabrics are also available which should be used in the public sector. Our standard delivery period is 5 to 7 weeks (collection approximately 4 weeks).